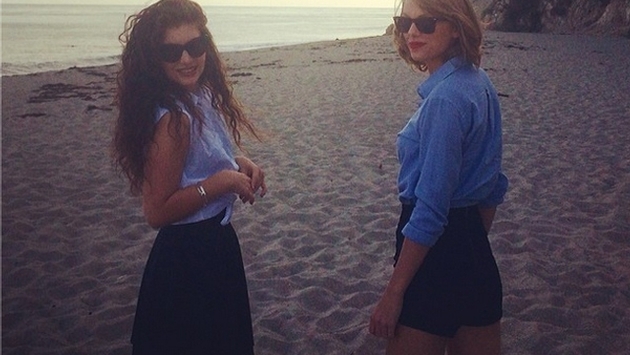 Taylor Swift and her new BFF Lorde kicked off their shoes and walked barefoot through Paradise Cove in Malibu, California on Saturday, Feb. 22. Based on the photo Taylor posted on her Instagram account, it's clear that Paradise Cove is one of California's many hidden gems. The small beach, located north of Malibu just off Highway 1 is framed by bluffs and if it looks familiar it's because it has been featured on television shows including The O.C., Baywatch and The Rockford Files. Paradise Cove is the kind of place tourists seldom find. In light of this, we've put together a list of other places throughout California that you must check out, but would likely never find without our help! For $45 you can get yourself an hour tour of the estate and underground caves with a wine tasting at the end. It's also the first vineyard in Napa Valley. Treat yourself to a Mexican vacation. Olvera Street simulates a traditional town in Mexico. Food here is fantastic and diverse. Nestled in the heart of Topanga Canyon is Hidden Treasures, an amazing vintage shop that you must visit. The quality of their vintage is just unreal. Plus, they are reasonably priced. Stop by this record store to find some real gems: imported vinyls and new awesome music. This is the oldest cemetery in California. It was built in 1849 when the founder of Sacramento donated the land to the city so that a cemetery could be created. The cemetery is designed to look like a Victorian garden. Mono Lake was formed around 760,000 years ago. It contains a high concentration of salts because it has no connection with the ocean. You could spend days there just taking in the beautiful views.